NEW YORK — The Trump administration is warning Russia that supplying Syria with an advanced missile defense system would be a “major mistake” and should be reconsidered. It also says U.S. forces will not leave Syria until Iran leaves. National security adviser John Bolton said Monday that delivery of the Russian S-300 would be a "significant escalation" in already high tensions in the region and Secretary of State Mike Pompeo said he would raise the matter this week with his Russian counterpart Sergey Lavrov at the U.N. General Assembly. Turkey will soon conduct joint patrols with U.S. forces in the strategic northern Syrian town of Manbij, once a stronghold of the Islamic State group, a top Turkish official said on Friday. 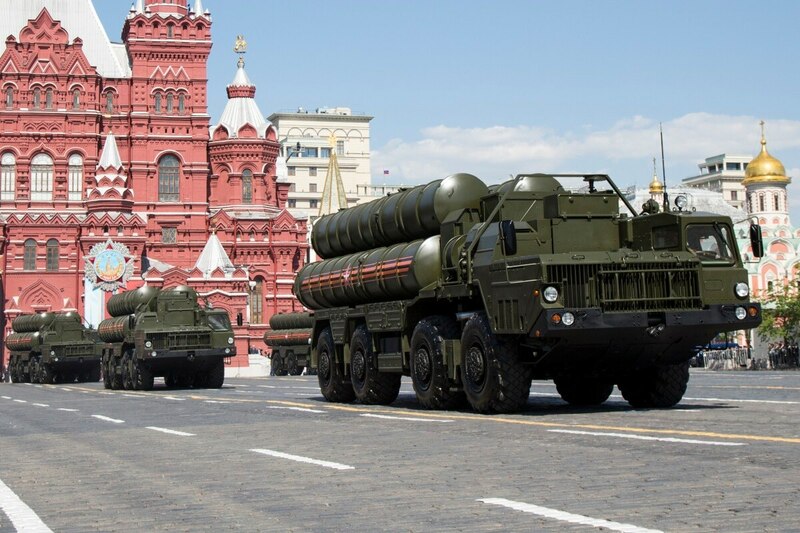 Russia announced earlier Monday that it would give Syria’s government more modern, S-300 missile defense systems after last week’s downing of a Russian plane by Syria in a friendly fire incident. The military’s reconnaissance Il-20 was shot down by the Syrian government missile defense systems responding to an Israeli airstrike. Russia laid the blame on Israel, saying Israeli fighter jets had pushed the plane into Syria’s line of fire. "We have American forces in the area we're concerned about," Bolton said. "The Israelis have a legitimate right to self-defense against this Iranian aggressive behavior, and what we're all trying to do is reduce tensions, reduce the possibility of major new hostilities. That's why the president has spoken to this issue and why we would regard introducing the S300 as a . major mistake." Syria’s skies, where regional and international powers back different parties in the conflict, are increasingly crowded. Shortly before the downing, Israeli strikes had hit targets inside Syria, reportedly preventing an arms shipment to the Iranian-backed militant Hezbollah group. The treaty allows Russia to keep its forces at the Hemeimeem air base in Syria's coastal province of Latakia as long as it wants. Russia launched its campaign in Syria to support President Bashar Assad in 2015, and though the involvement turned the tide of war in favor of Syrian government forces, Moscow has tried to play a careful balancing act, maintaining good ties both with Iran and Israel. For its part, Israel is wary of Iran's growing influence in Syria. Bolton said the U.S. would keep a military presence in Syria until Iran is no longer active there. “We’re not going to leave as long as Iranian troops are outside Iranian borders and that includes Iranian proxies and militias,” he said.